Still lakes, works of art and a refreshing leap into cool water. A fabulous summer’s day! “Perfect for relaxing at the lake. Simply leave all your cares behind and if it gets too hot, just leap into the glass-clear lake water,” the voice of cosiness whispers from my right shoulder. “No you don’t. It’s a perfect day for hiking! Exercise is good for you and the endless view will be reward enough for the distance covered,” the voice from my left shoulder protests. I laugh and shrug my shoulders, shaking both of them off. I’ve already decided. I am going to make both of them happy, not least me! 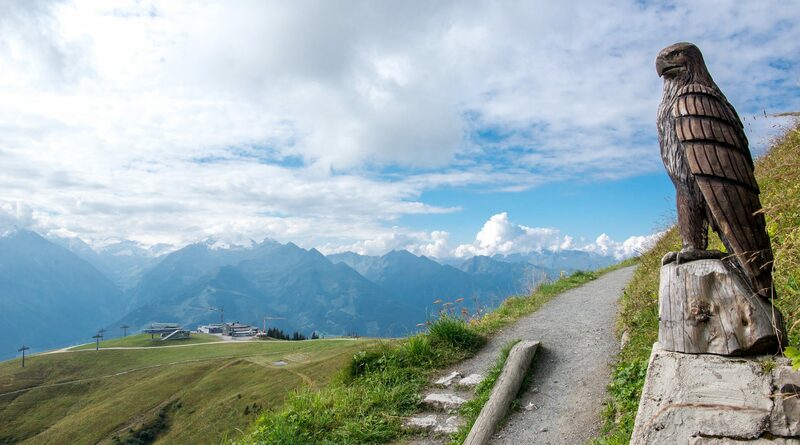 Today I’m going on the “4 Lakes Art Hike” on the Schmittenhöhe mountain in Zell am See. I’ve got my hiking boots on and my backpack is full of snacks and a bikini. 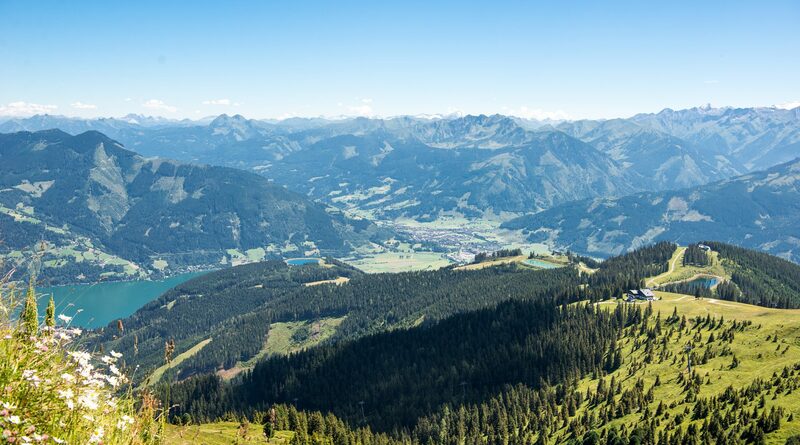 As the name suggests, this is a free weekly guided hike from the summit of Schmitten along the picturesque reservoirs down into the valley. I meet Resi the hiking guide and the other participants at the Schmittenhöhebahn valley station. We already have the tickets for the ascent in our pockets and Resi gives us an art folder with descriptions of the works of art along the route. The modern Schmittenhöhebahn cable car, designed by Porsche Design, helps us conquer the 1,000 metres in altitude up to the peak comfortably and in style. “We’re from Luneburg Heath and are hiking novices,” the couple from North Germany admits, but Resi reassures them that they will easily be able to manage the roughly four-hour hike. Walking downhill, I have the four lakes of the hike in front of me and each one has a different amazing intense colour. 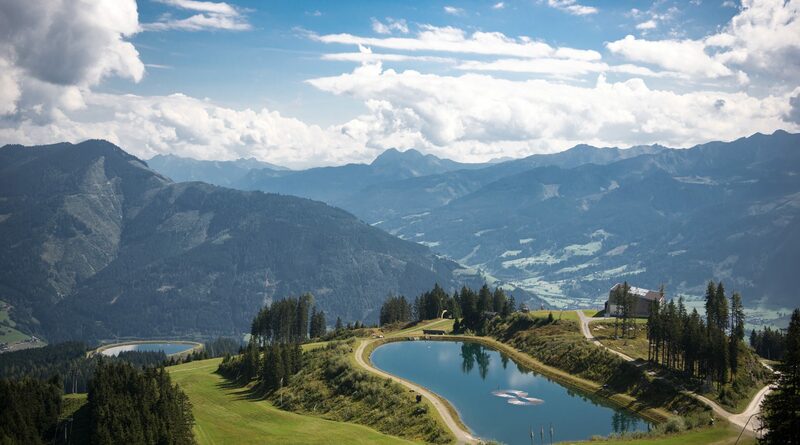 The large Lake Zell in the valley glitters like a dark green diamond. In the distance, Plettsaukopf reservoir shimmers in a soft blue, the middle reservoir seems almost turquoise and the upper lake, which we are slowly approaching, seems dark and murky. These lakes, embedded in this wonderful scenery, however, are not only here to please the summer guests. In winter they also fulfil an important function – the pump system for the snow machines taps onto these reservoirs that are filled with rain and meltwater. “Artificial snow is made up of this pure water and air and nothing else,” Resi explains. 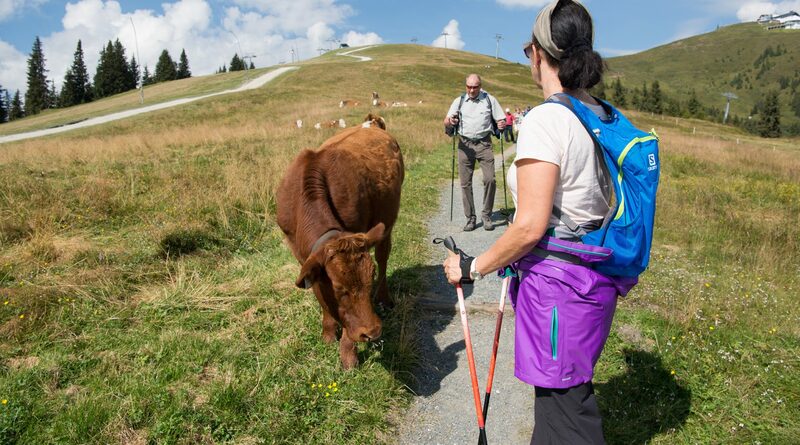 After a quick break at the first lake, where Resi gives us some information on mountain and medicinal herbs growing all around the pastures, we continue our hike downhill. 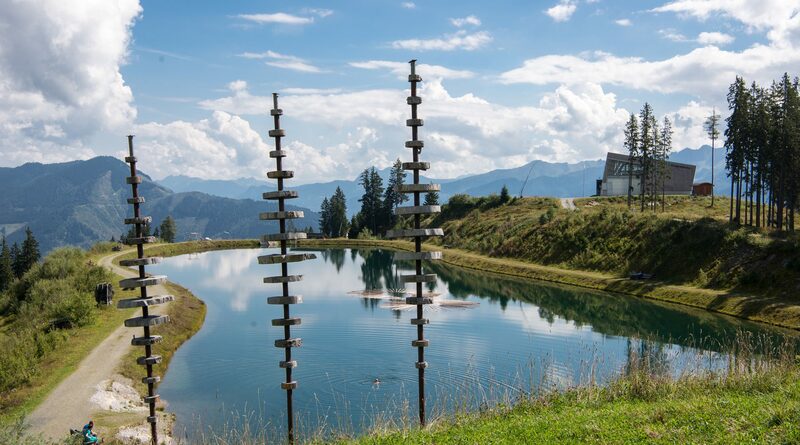 We admire the “Die Zelle am Wasser” at the middle reservoir where artists in general have let their imagination run free around this idyllic lake. One work of art follows another and amazed we go from sculpture to sculpture, just like in an urban gallery. In the meantime, the sun has reached its highest point and I can only silence the whining voice of cosiness with great difficulty when it announces, “So much water, I want to go swimming!” We walk past cows grazing peacefully, who are obviously enjoying their summer in the alpine pasture up here, and head for the penultimate stage. Plettsaukopf reservoir, perfectly nestled in the landscape, looks as though it has always been here. Cosy wood loungers on the waterfront look inviting and are ideal for stretching your legs whereas little hikers will find a huge playground to play and run around to their hearts’ content. They can shoot at mini dragons swimming in the lake with splashes of water, divert water at small reservoirs and the friendly “Schmidolin” dragon spits glass-clear water instead of fire. 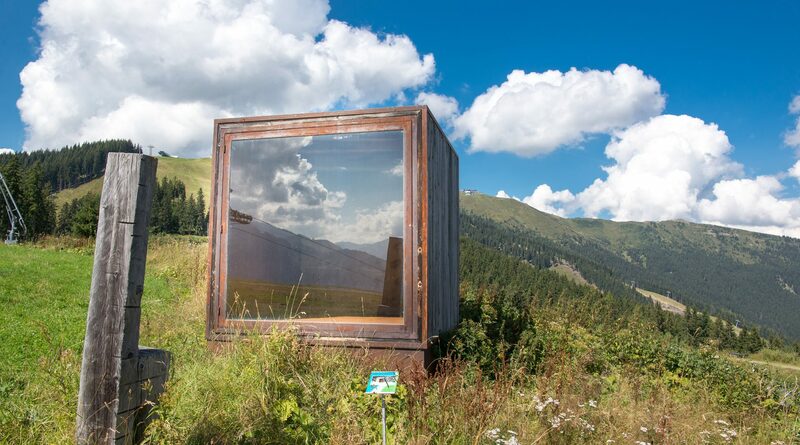 My need to cool off is now great and so we set off to the cityXpress mountain station a few metres above the lake to take the cable car down into the valley in comfort. 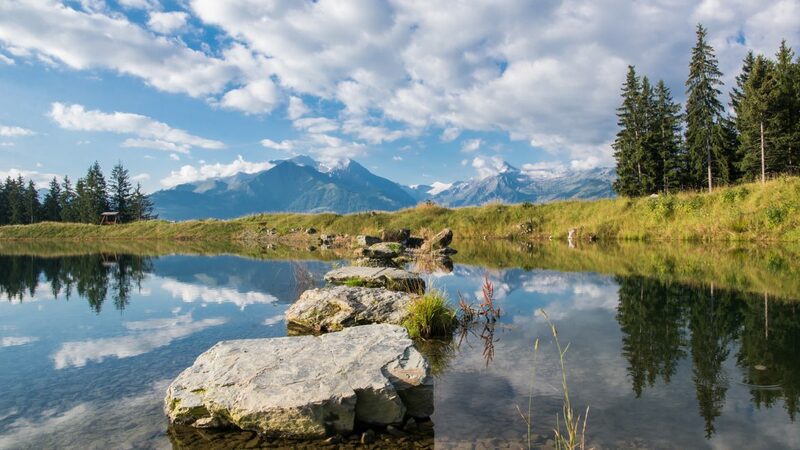 The fourth lake of the hike – Lake Zell – is next on my itinerary. I follow the calling of my voices, now cheering in anticipation, and quickly change from my mountain boots into my bikini and leap into the cool velvety water!